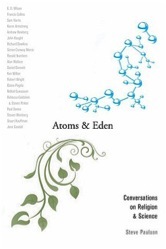 I have a little dilemma with regard to the recent book titled ‘Atoms & Eden: Conversations on Science & Religion’; this is due to the fact that I am one of the twenty interviewees in this book on Science and Religion, which I have been reading and finding totally delightful and enlightening. Indeed, when Steve Paulson, the author, asked me if I would agree to having the interview he had done with me almost two years ago included in his book, I felt flattered and humbled to be included among the following scholars and thinkers: E.O. Wilson, Francis Collins, Sam Harris, Karen Armstrong, Andrew Newberg, John Haught, Richard Dawkins, Simon Conway-Morris, Ronald Numbers, Alan Wallace, Daniel Dennett, Ken Wilber, Robert Wright, Elaine Pagels, Rebecca Goldstein & Steven Pinker, Paul Davies, Steven Weinberg, Stuart Kauffman, and Jane Goodall. It’s a terrific collection of interviews, hence unsurprisingly published by Oxford University Press. And Paulson is not only a very smart and skillful interviewer, he tells us in a long introduction and in a short epilogue what he has learned in this long exercise of grappling with Science and Religion issues and thinkers. Steve Paulson is an executive producer at Wisconsin Public Radio; he has an excellent nationally syndicated radio program, “To the Best of Our Knowledge.” But perhaps more important, at least in this regard, is the fact that he received a Templeton-Cambridge Journalism Fellowship in Science and Religion, whereby he spent a few weeks in Cambridge (UK) in a seminar of lectures and discussions with important figures of the Science & Religion domain, after which he was asked to produce some piece of work (long article, radio program, or other), and this book was the culmination of his exploration. The interviewees cover the widest spectrum of positions and expertise that one could think of: Christians, Buddhists, Jews, Muslim, agnostics, atheists, and some whose perspectives would be very difficult to categorize; the scientific disciplines that are covered are also very wide: evolutionary biology, quantum physics, cosmology, neuroscience; and likewise for the other fields of human thought and scholarship: theology, history, sociology, etc. Paulson tells us that he considers himself “both skeptical and open-minded”, to all kinds of ideas and theories (from strict materialism to reincarnation), though he constantly tries to poke holes in all of them. And, speaking from experience, I can testify that he gives his interviewees a respectful but fair shake, asking questions of both personal and intellectual nature, following up answers with tough critiques, trying to get to the bottom of his guest’s thoughts. 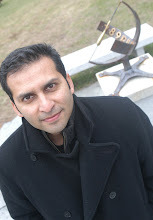 There are also a number of striking surprises in many of the interviews, though I feel reluctant to give too many away; I’ll just mention a few: Sam Harris (the staunch atheist and extreme critic of Christianity and Islam) does not rule out life (of the mind) after death as well as paranormal phenomena (e.g. telepathy); Karen Armstrong considers the belief in a personal God overly simplistic and is agnostic about the afterlife; John Haught (Roman Catholic theologian) does not believe God violates any laws of nature when/if He acts in the world, and that in fact after Darwin and Einstein our conception of God needs to be revised… And there are also some dialogues and rebuttals between the interviewees, both explicitly and implicitly. So, going beyond my personal bias, I wish to warmly recommend this very nice book; it is the easiest and nicest way to go over the whole spectrum of Science & Religion views and debates, next to taking a full course on the subject. I hope you’ll trust my assessment as objective and my recommendation as detached. Thanks for bringing attention to the book. I totally concur with you. I'm currently reading it - and it is very good. I highly recommend it! It does a nice of job of highlighting the complex ways scientists view the relation between science & religion. Very surprised to see those opinions from Harris and Armstrong! Great review and definitely on my reading list now. BTW, I agree: “To the Best of Our Knowledge” on WPR is a great program. I think readers of this blog will find it worth listening to. What is meant by a personal God? Does Quran advocates a personal God too? How do we interpret Quranic meaning of God when it briefly describes this concept as something unique, absolute, eternal, non-dependent, formless, incomparable to anything that we know, and incomprehensible by the standards of human imagination? What is your view of this Quranic description? I read a somwhat similar book: Conversations on religion. Will hopefully read Atoms and Eden someday. There is so much to read and so much to listen to. To grasp the substance more efficiently, I sometimes wish someone will tell me only those bits that I will find interesting. :) But how can someone else know what bits will be of interest to me? I love increasing my general knowledge of science and religion. :) The uprising in Arab countries, Gaddafi's war, etc are of little interest to me. Hi Mohamed; thanks for the comment, and glad you liked my short review. By "personal God" thinkers usually refer to a God with whom we have a "personal" relationship: we pray to Him, He hears each of us, He responds to our prayers, He guides us (sometimes), He punishes us, etc. This is not, however, necessarily the same as an anthropomorphic God, who shows features and characteristics of humans (jealousy, revenge, etc.). Various thinkers and theologians have criticized either or both concepts. In the Qur'an we find God indeed described as a personal God, though the human traits are open for interpretation. What you describe ("absolute, eternal, non-dependent, formless, incomparable to anything that we know") is correct and refers to God's ineffability and transcendence. In the Qur'an, however, God is both transcendent and "immanent", i.e. present right here around us ("closer to you than your jugular vein"). Now the important question is: do you want to construct your own view of God or do you want to let the ulama tell you what you must believe?